Sometimes it’s hard to come up with sensory play for babies, but I am so excited about this project!! I saw this post for sensory bags quite awhile ago and so wanted to do it. I just couldn’t quite think of a way to modify for the babe. I was afraid as is, he would for sure be able to get the plastic bags open quickly. Then I saw this post from The Mommies Made Me Do It. Hmmm….I had my answer…duct tape! Please note: Before I go any further, the safety of your baby should be of the upmost concern. Please remember that with this activity you are giving a younger child a plastic bag filled with gel and other small items. Not traditionally what we would think of as a “toy” for a baby. Do not leave your child unattended during an activity like this. Safety first, supervise at all times! For obvious reasons you do not want baby putting this in their mouth. 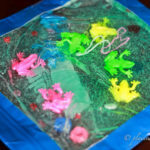 Frogs for the bag, and other filler. 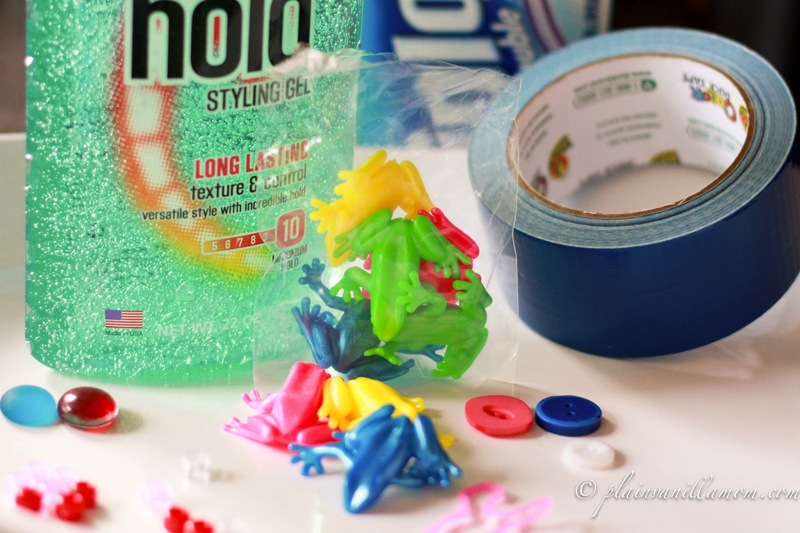 I found the frogs I used at the Target dollar spot. They were perfect! (If you can no longer find them there, THESE or THESE, would work great. Nothing too sharp or pokey though. You don’t want whatever you put in there to puncture the bag. (At first that’s all I was going to put in it but I thought why stop there! I added a few buttons, some beads, silly bands, and a couple of flat marbles). Fill the bag with hair gel. I happened to find cheap hair gel that was already colored, had I not, I would have just added food coloring to regular hair gel. (tip: you can find huge bottles of hair gel at the dollar store…. cheap). 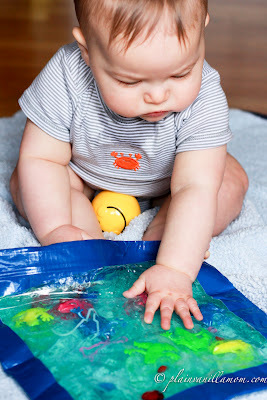 Then, throw in some fun things for baby to look at and squish around in the gel. Squeeze out as much air as you can when you seal the bag. I ran duct tape around all the edges to reinforce it. The duct tape added a little color and made it look kinda cool too (bonus) That’s it! You are good to go! 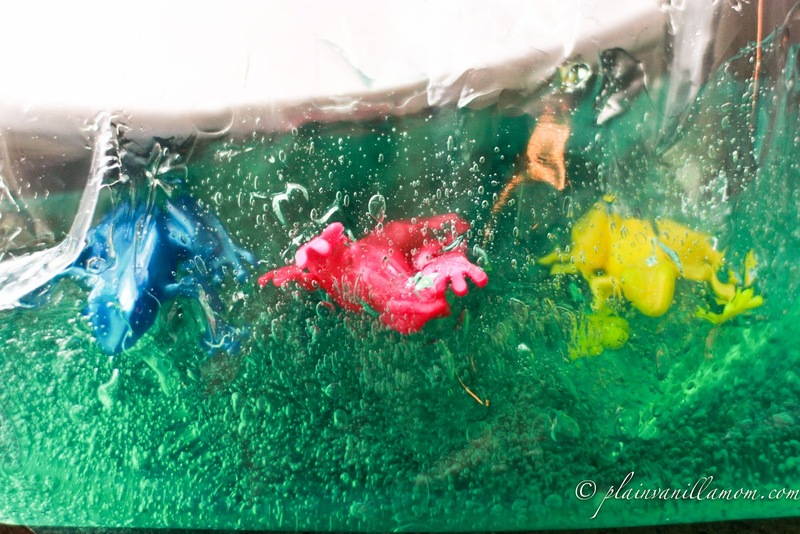 I’m pretty proud of the frogs…don’t they look like they are swimming in there? At first Mr. C wasn’t sure what to do with it. He would just look at it and smile. (at least he thought it was pretty). Eventually he did get to squishing it around a bit. He especially liked it when I held the bag up so the light would shine through. I’m thinking the next time I get it out I may tape it on our sliding glass doors so he can look at it and explore that way. Believe it or not, much to my surprise, he didn’t try to put this one in his mouth. This is by no means limited to the youngest set. I think it would be well suited for a lot of ages. My older son was even intrigued with how I made it, what I put in it etc. If you have a large age gap between kids like we do, sometimes its fun to get the the older ones involved in making these types of things for the younger ones. It gives the older kids a project and everyone gets to participate. (I’m a big fan of older kids with projects). I will definitely be repeating this one as the munchkin man gets older. I’d also like to try making this in a smaller size. I think it would be easier for him to pick up and manipulate. With the hair gel in the gallon size bag it was a bit heavy for him so he was more limited to playing with it like a mat. Please remember though if you do an activity be sure to supervise your child at all times. Plastic bags do pose a suffocation risk and you can never be too careful. Disclaimer: If you do try this, as with any activity, make sure you supervise your little one at all times. Little fingernails and teeth could puncture the bag. Mr. C was about 8 months old when we tried this for the first time. He was able to sit up well on his own and had good head control when he was on his stomach. I would not recommend this for any infant that can not sit up on their own. Plastic can pose a suffocation risk. In the end you know your child best so please offer activities and supervise accordingly. Safety always comes first. 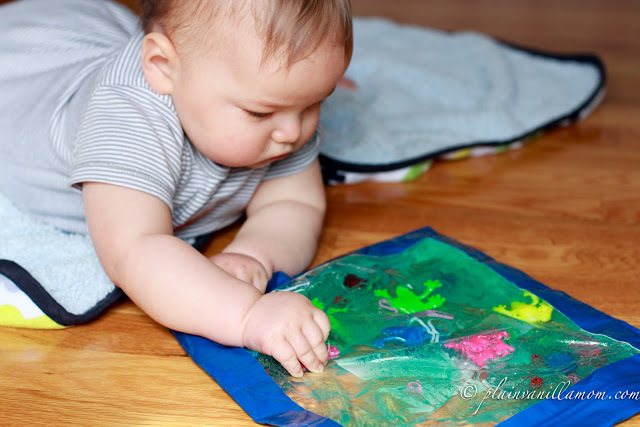 Check out these Baby Play ideas HERE for much simple & fun ways to play with your little ones. Be sure to follow our Baby Play board on Pinterest. 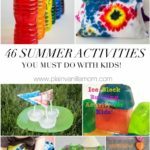 We are always updating it with fun & new baby play ideas! Follow Jennifer from Plain Vanilla Mom’s board For the Babe on Pinterest. Thanks Aleacia 🙂 I wish I had thought of it sooner too. 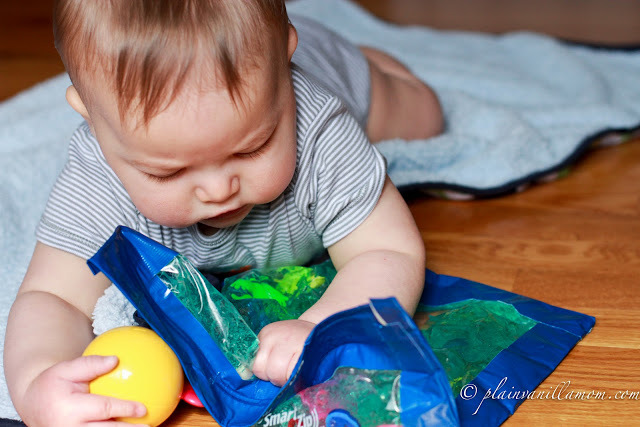 It would have been perfect for him during tummy time in the early days! That looks like a lot of fun! Thanks for sharing! We did have a lot of fun with this one. I’m already trying to think of more ideas for bag themes 🙂 Thanks for stopping by! 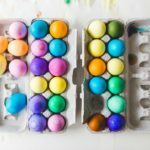 I love this idea, too! Great to take when you travel out with baby! Thanks for sharing! 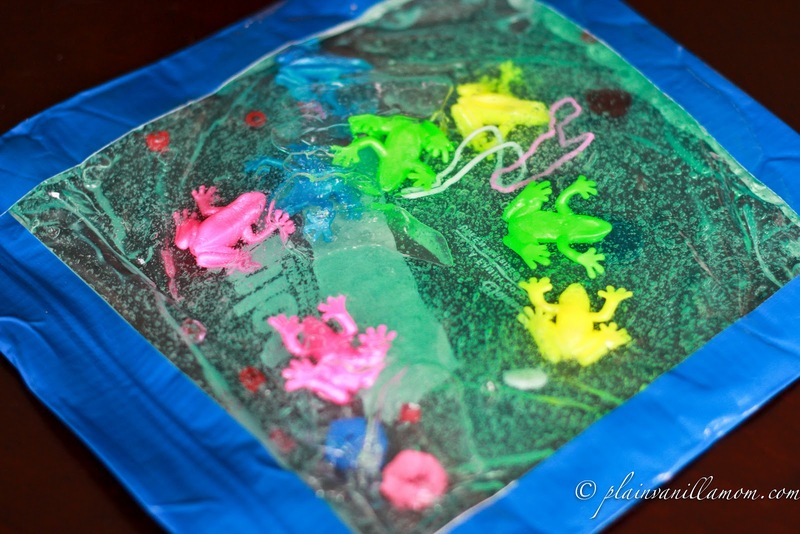 I so wish I had known about DIY sensory bags when my little ones were brand new. 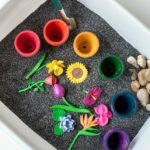 Such a great idea and love you can make it with whatever your little one likes best. I’ll be featuring your activity tomorrow at the Kids Co-op! Very cool! I like this… another thing on the to do list! Hi:) Thanks for the great idea! It’s soooooo cute! So is your baby! I used the whole bottle but you could totally use less. It’s entirely up to you. Just made 3 of these for nieces and nephews … made them on a Thursday. By Saturday the gel was seeping through the bag. Aw, Shelly, sorry to hear that. Depending on the sturdiness of the bag and how rough (or not rough) the play they won’t last forever. Glad they got to have a little fun with them though. I absolutely adore this idea and im def making some but i was also thinking just in case accidents like this happen it would be safer to use %100 aloe vera gel. Supervision is still needed, as I assume they can still be punctured with enough effort, especially if chewed on. But hopefully they will last quite a bit longer than regular zip loc bags! I loved this idea. Just a thought – why not double bag these – ie once you have made your sensory bag put it inside another bag. That way hopefully when the outer bag gets punctured the inner bag will still be intact and you can just quickly replace the outer bag for more fun. Hi Erika, Thank you! I think it works great for either age group. I’ve made them for my boys in both age ranges. They just play with it differently in each stage. It really sort of depends on the child. My 2.5 yr old still likes it when we make them 🙂 With babies just watch out for little fingernails puncturing the plastic if they try to dig their hands into it. I used the non-freezer bag style baggies once and had that problem when I did. Hello, I’m french, so sorry for my english. Thank you for your ideas, really simple to make but funny and good for kids. I take care of children at home (I don’t know how you say that in english, in french I am “assistant maternel”) and they love simplicity and play with things we use every day in a house (I hope you can understand me). Have you ever try bottles with water colored ? That’s what kid love most actually in my house (they have between 1 and 3 years old). Thank you for sharing all your ideas. Hi Debra, I suspect you could. With the size bottle of gel I had the bag only really ended up about half full and of course it all got squished around and moved about when played with. How did you get it from not smelling? I think the hair gel has a very strong scent. When I made ours, the smell was on my hands. I double bagged it but it still is pretty strong. Oh we could still smell the hair gel too. The one I bought actual had a rather pleasant scent though so it was no bother. I love that you sealed the edges w/ duct tape! What do you think of covering the whole thing w/ clear packing tape to prevent punctures? Or would that make it too rigid??? Trying to think of a way to keep my 10mo old from biting holes w/ his sharp little teeth! That’s actually not a bad idea, I would totally try it! Oh that sounds like fun! 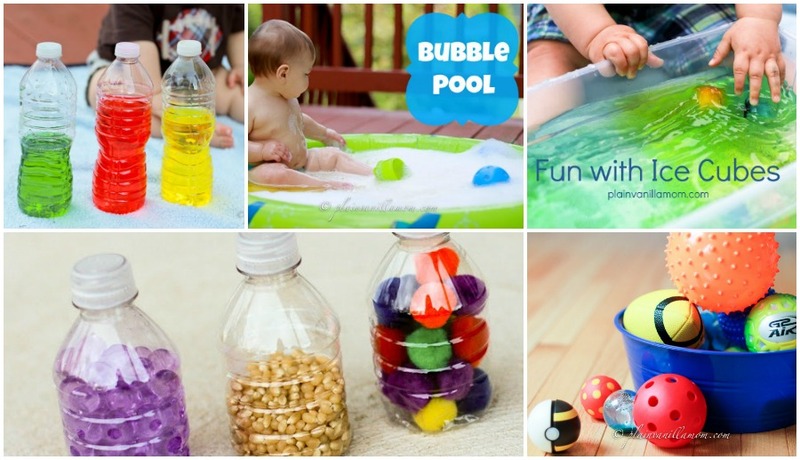 I have a little guy who I won’t let play with water beads yet because I’m afraid he will put them in his mouth but this would be a great way to offer a way in which he could play with them. Thanks for the idea! I wanted to warn you about this. I made it after seeing it on pintrest. My baby nearly suffocated on it this afternoon. He was on his tummy and had moulded it up around hus face (since its soft gel filled). When I took him off his nose was running and he was gasping fir air and very upset. Thank you for letting me know. 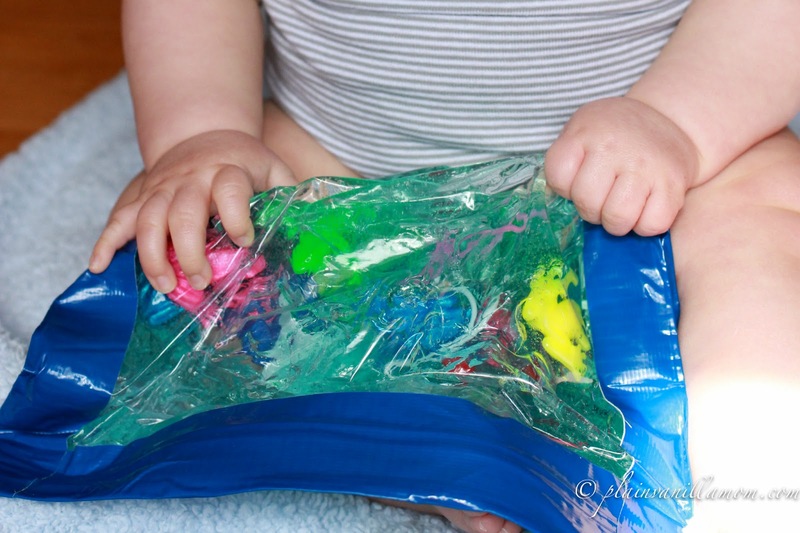 That’s exactly why I mention in the post that children should be supervised at all times when playing with a sensory bag like this. Activities like this can be very beneficial to a child’s development but we as parents need to make sure we put safety first. 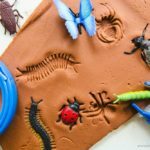 I just edited the post to remind parents (in a few more places throughout the post) to supervise their children closely when doing this activity and to not leave their children unattended. In the end we know our children best so it’s up to us to choose activities for them accordingly. Duct tape! I tried this with some water and food colour in a couple of freezer zip loc bags but they kept leaking very easily. Going to try it again but use duct tape all the way around all 4 sides to see if that will make a better seal. Thanks for the idea, duh!